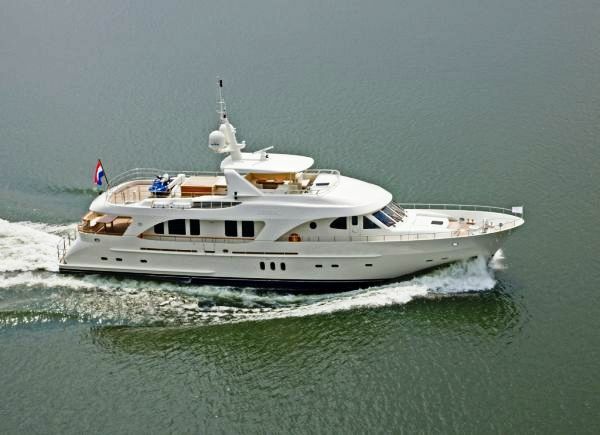 Motor yacht MAXIMUS is a 30,00m (98' 5") Moonen 97 built in 2008. 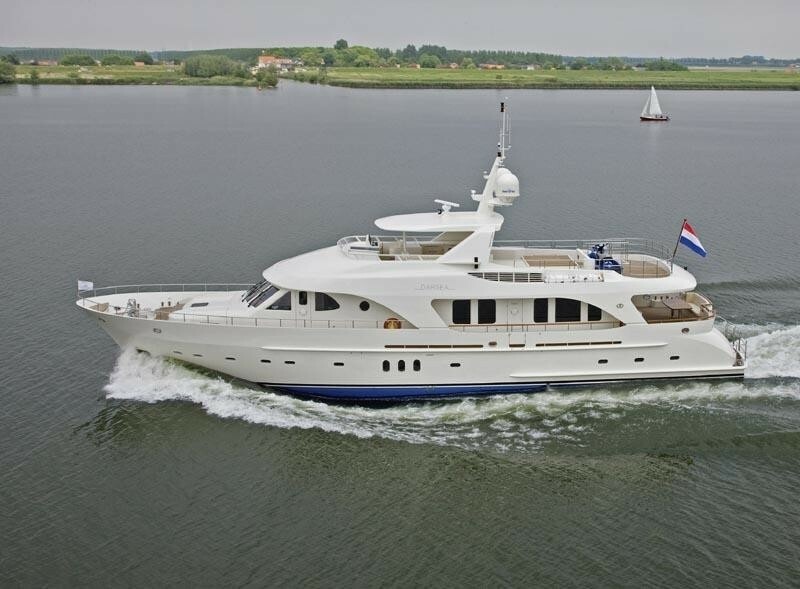 The displacement yacht is handsomely shaped by René van der Velden Design with a nicely flared bow, sloped stern with twin stairways, graceful sheerline, and bold fashion plates. 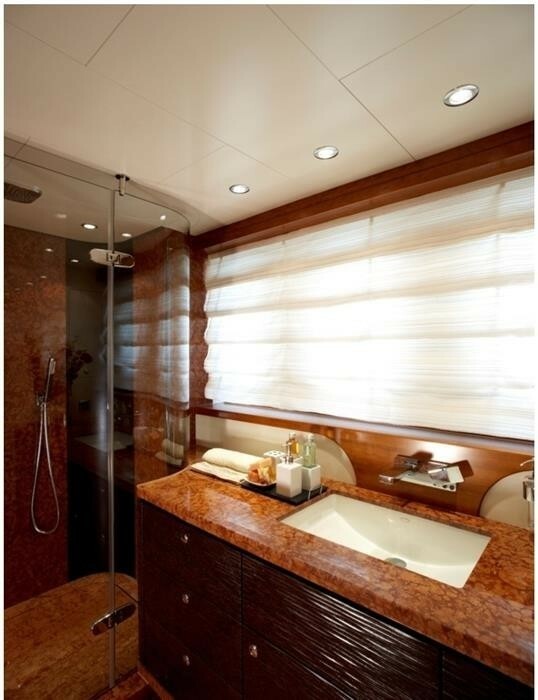 Her round-bilge hullform was drawn by naval architects Diana Yacht Design. 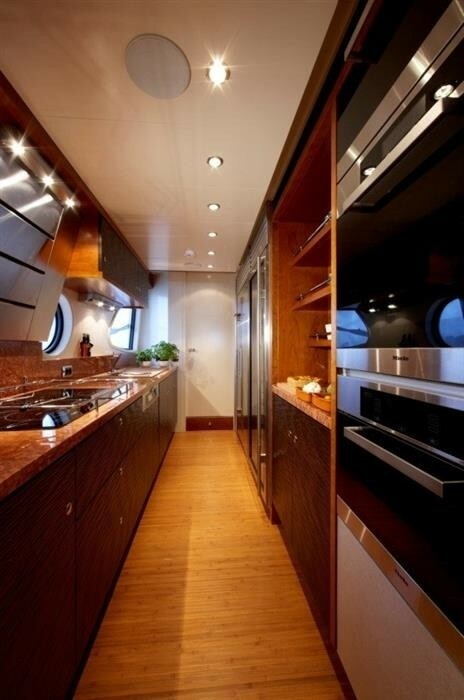 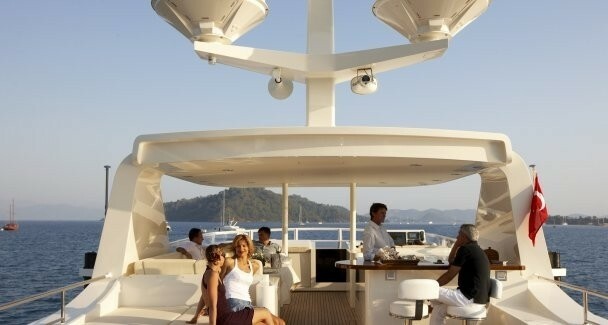 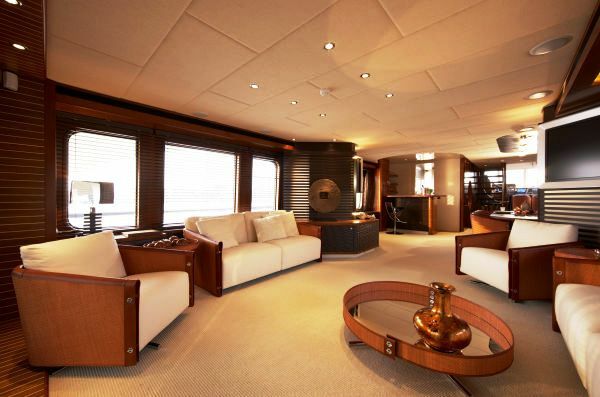 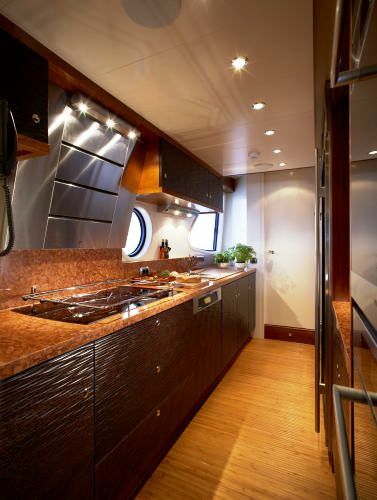 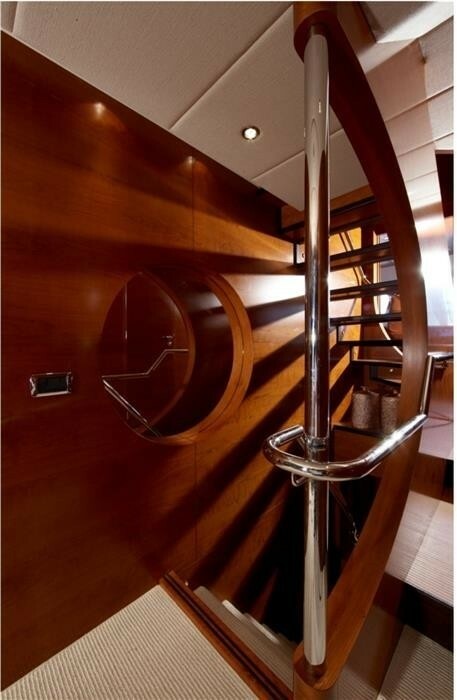 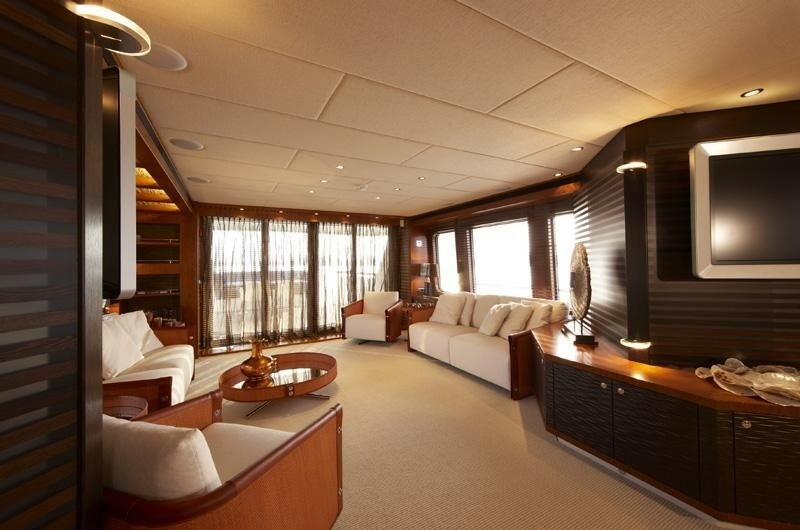 Motor yacht MAXIMUS’s interior was styled by the Dutch company Art-Line. 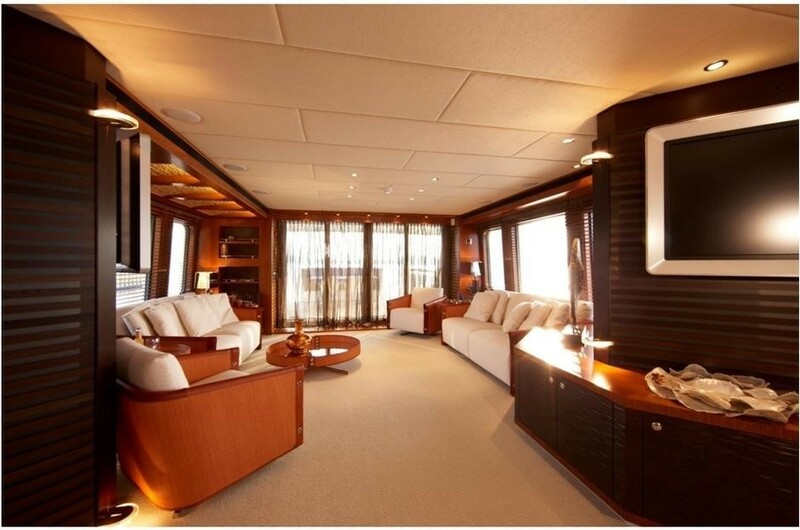 The contemporary Art-Line interior features ample use of leather, bamboo, panelling and built-in furniture of fine cherry veneers. 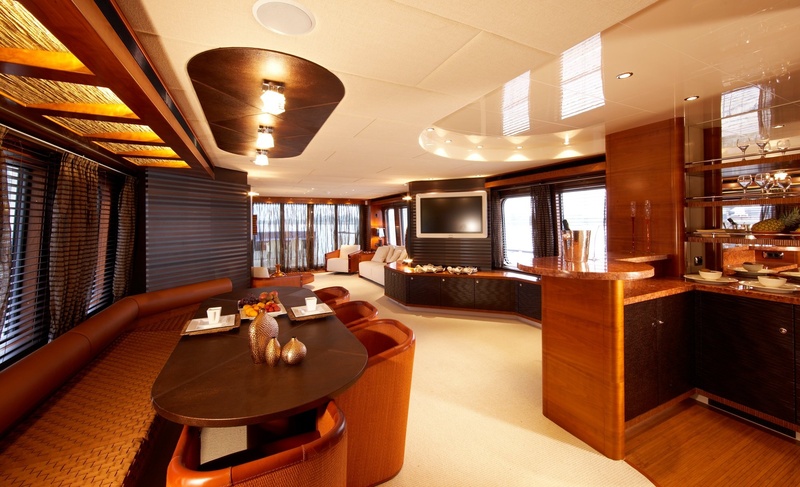 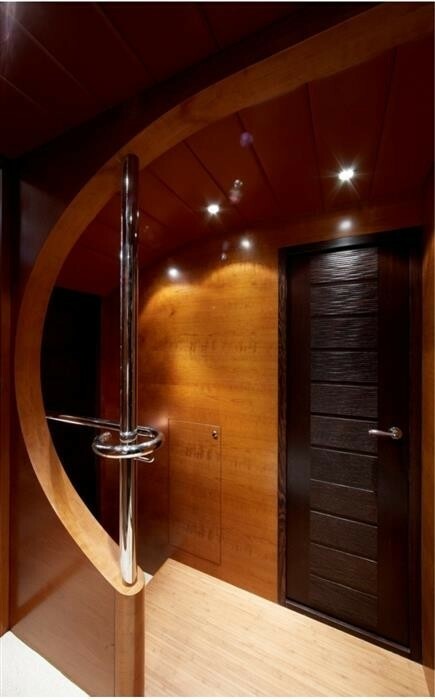 Richly classical Wenge trim adds drama to the yachts interior. 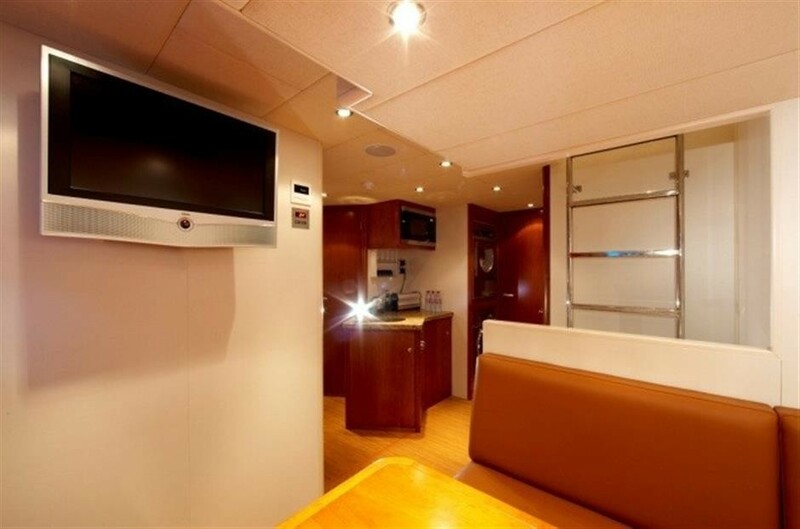 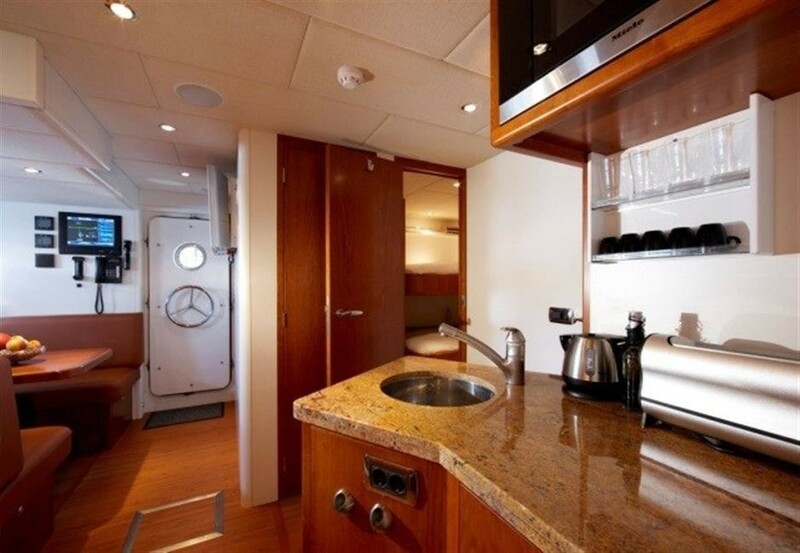 Moonen 97 MAXIMUS (ex DARSEA) can accommodate up to 9 guests in 4 cabins located on the lower deck in front of the engine room, with the crew quarters completely separate, aft of the engine room. 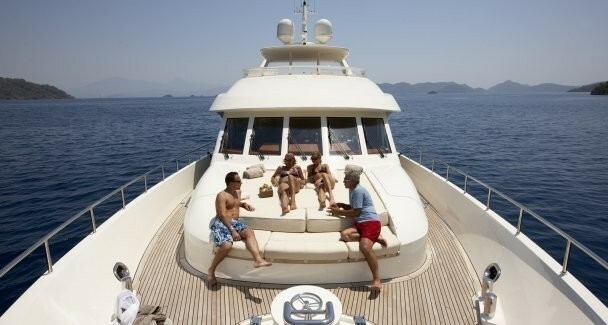 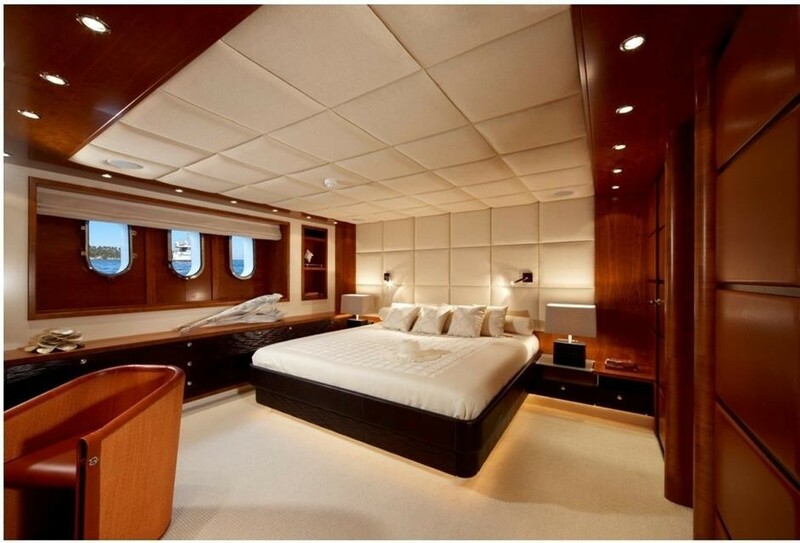 This provides charter guests with 4 very large and luxurious staterooms. 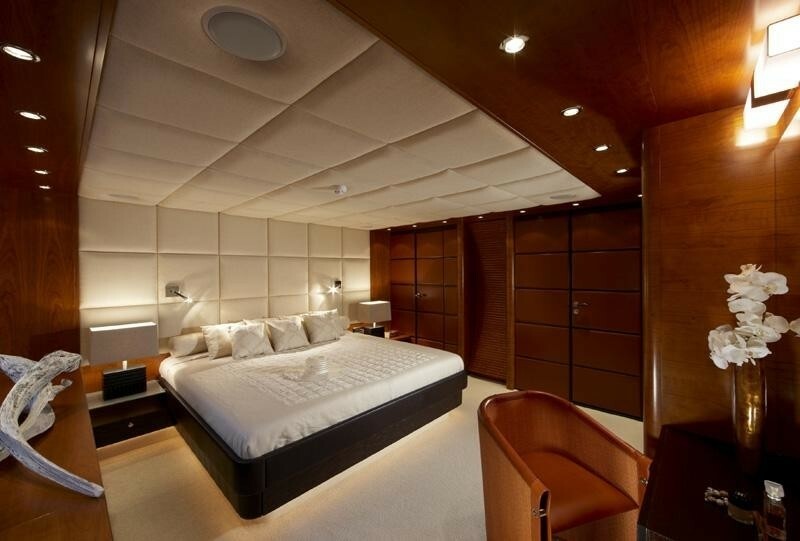 The master stateroom is located amidships just in front of the engine room which is well insulated by noise and vibration even when cruising at full speed. 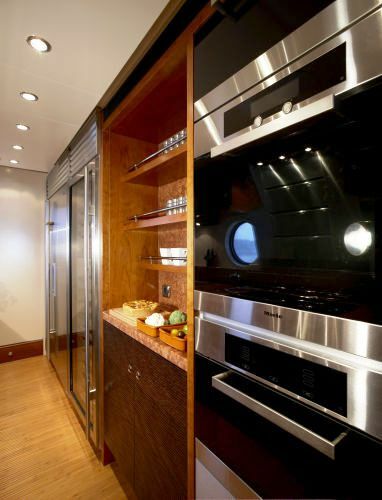 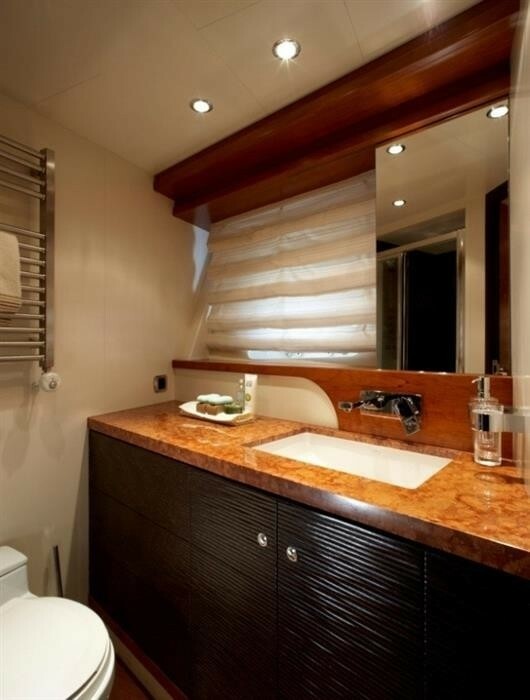 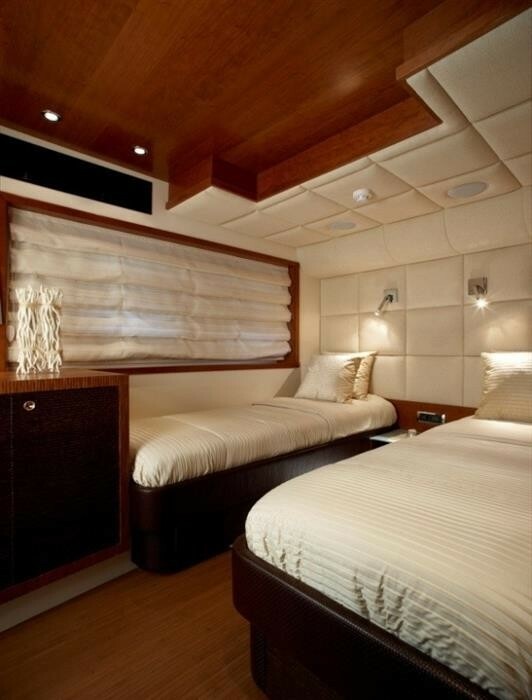 The full beam cabin offers a large luxurious bathroom to port, and a walk-in closet. The VIP cabin is situated in the bow of the vessel and there are two twin cabins located on starboard- and portside off the lower deck lobby. 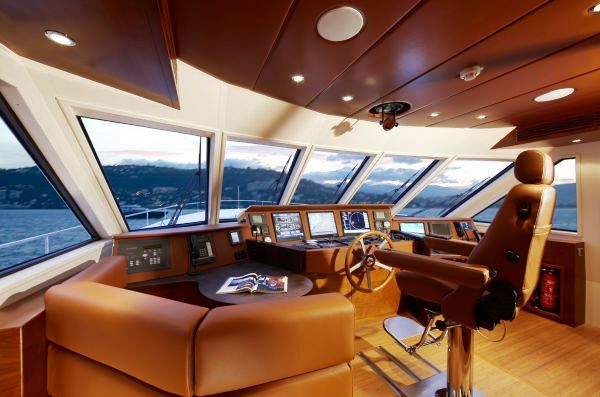 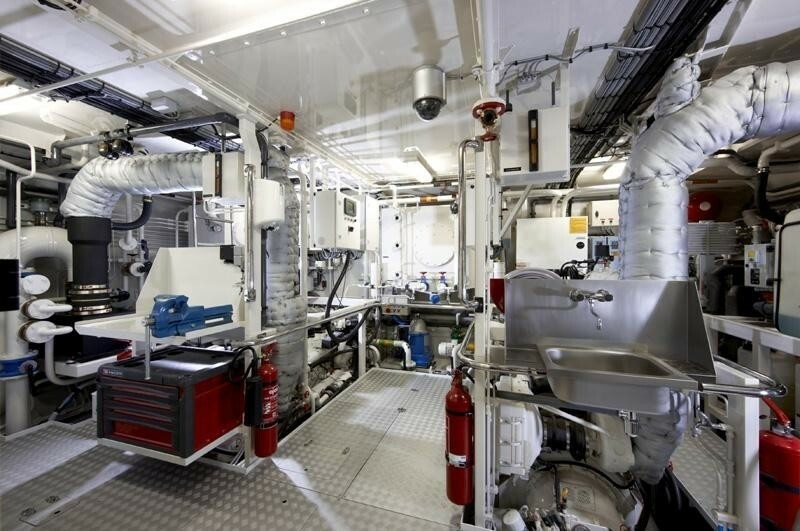 With steel hull and aluminium superstructure, motor yacht MAXIMUS also features twin Caterpillar C 18 DITA engines and zero-speed stabilizers, and is built to Lloyd's Register Class and MCA Certification. 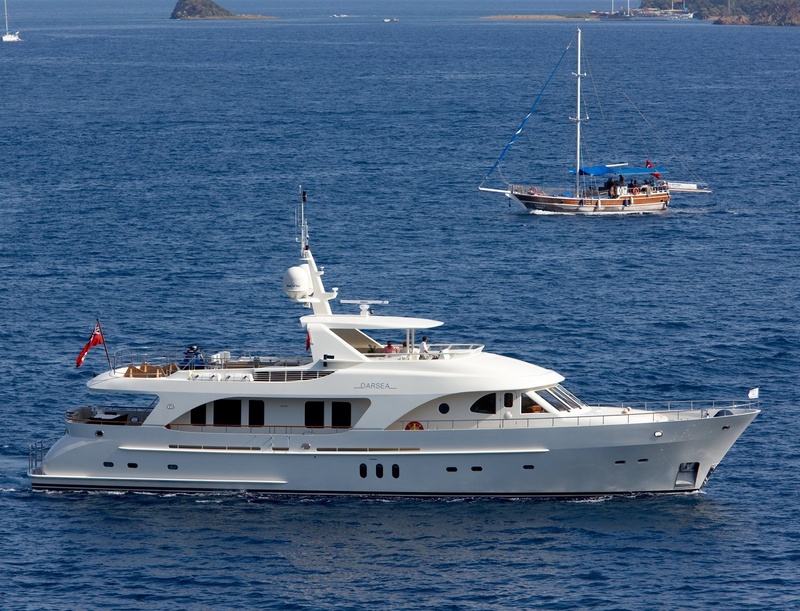 She can cruise at a speed of 12 knots and attain a maximum speed of 13 knots. 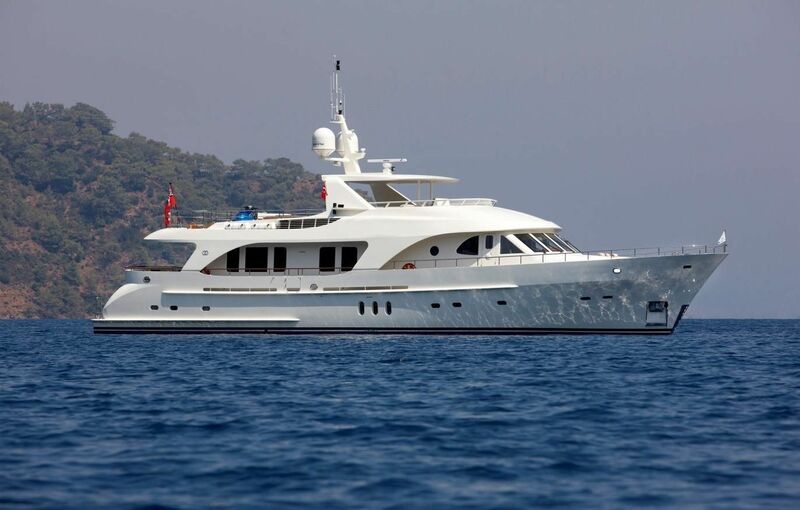 Charter yacht DARSEA has a crew of 5 and is based in the Western Mediterranean year round, available for luxury yacht charters. 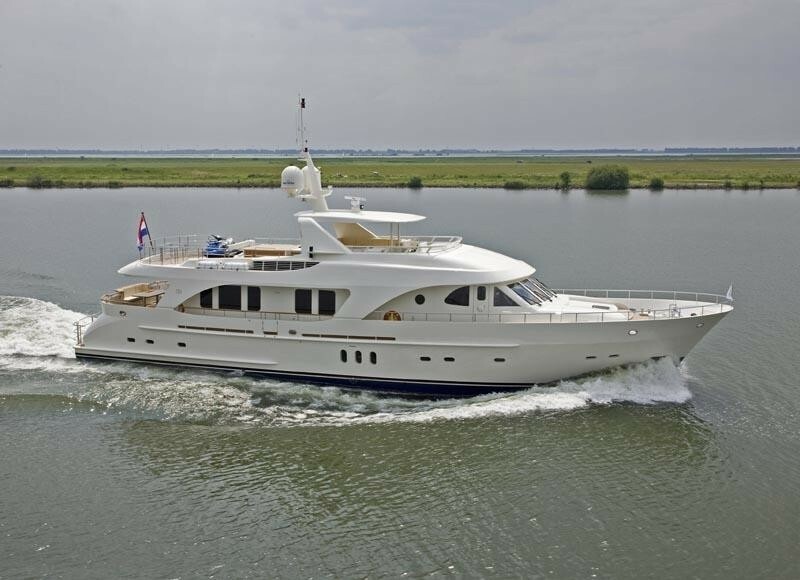 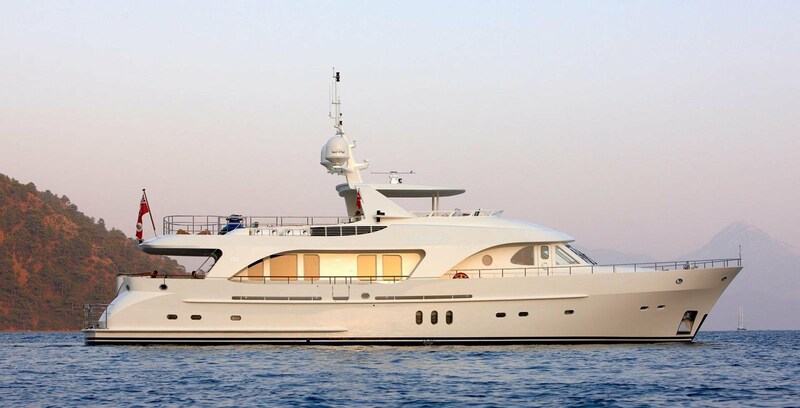 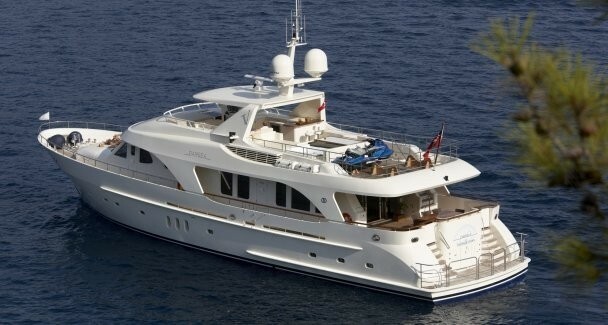 Moonen 97 motor yacht MAXIMUS can accommodate up to 9 guests in 4 cabins located on the lower deck in front of the engine room, with the crew quarters completely separate, aft of the engine room. 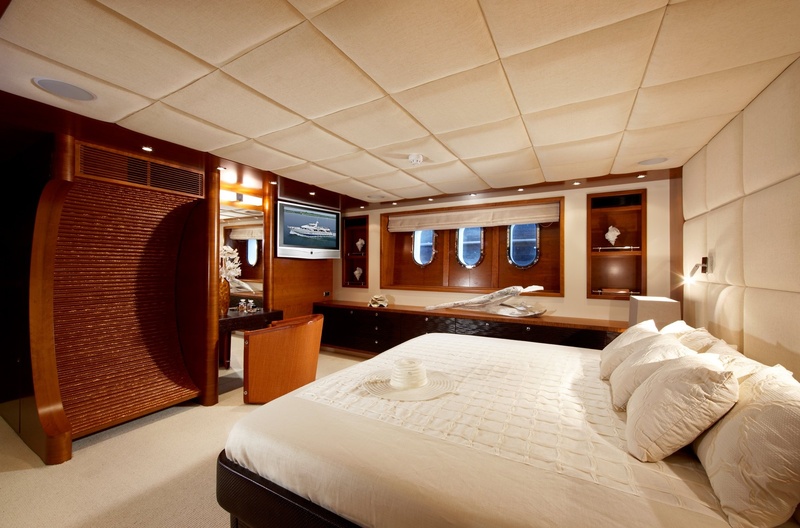 This provides charter guests with 4 very large and luxurious staterooms. 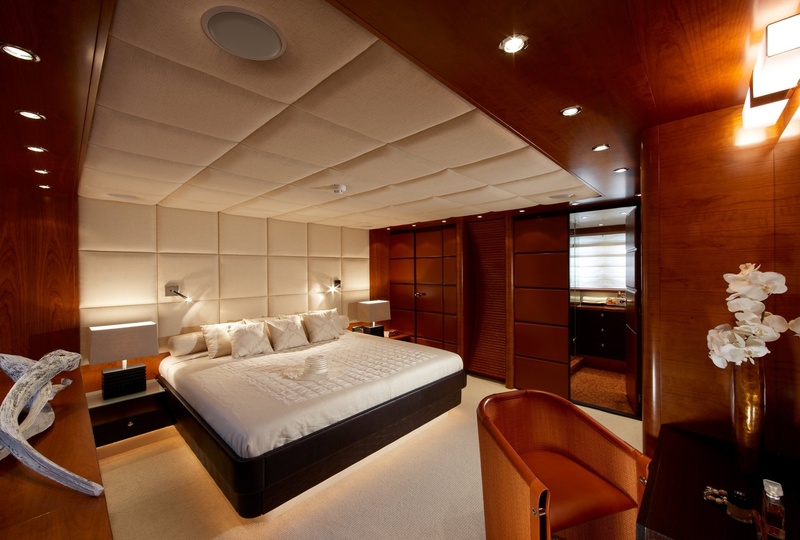 The master stateroom is located amidships just in front of the engine room which is well insulated by noise and vibration even when cruising at full speed. 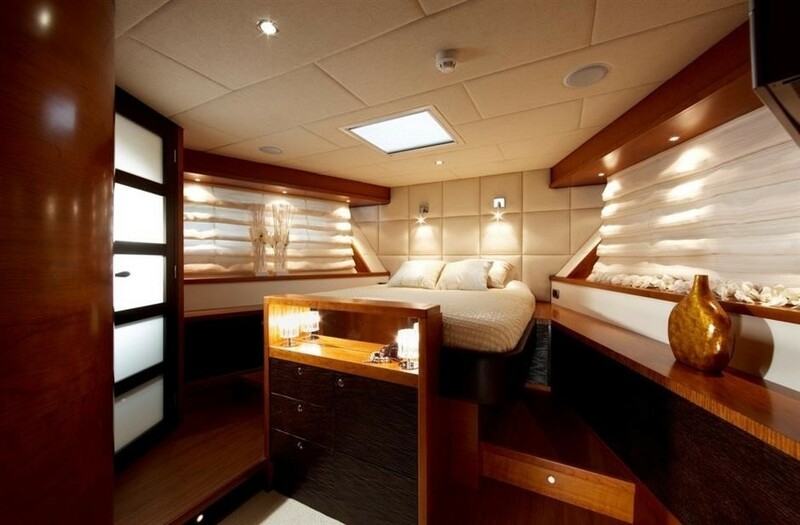 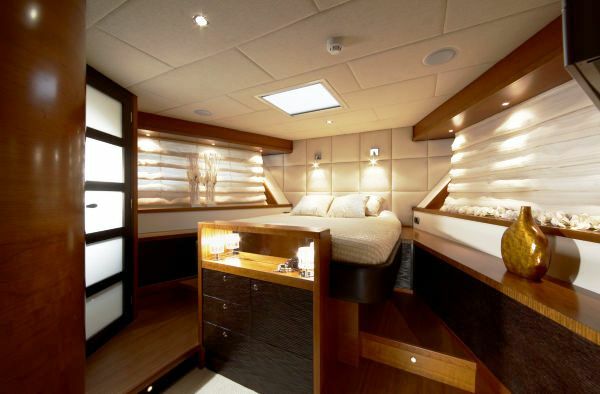 The full beam cabin offers a large luxurious bathroom to port, and a walk-in closet. 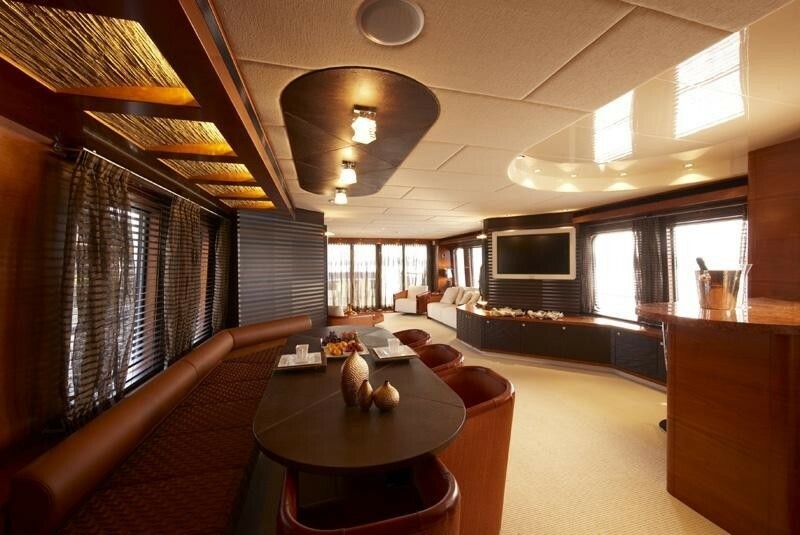 The VIP cabin is situated in the bow of the vessel and there are two twin cabins located on starboard- and portside off the lower deck lobby. 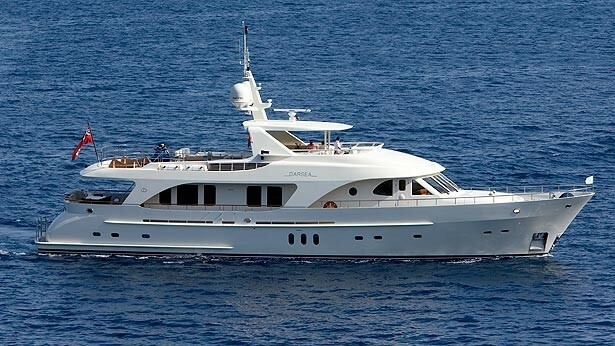 Luxury Moonen 97 charter yacht MAXIMUS has a great range of extras onboard to njoy while on charter including the following Tenders & Toys: A Jet ski, adult and kids Wake boards, adult and kids water skis, a double trouble 2 person inflatable tow, and an aqua glide - blow up floating mattress. 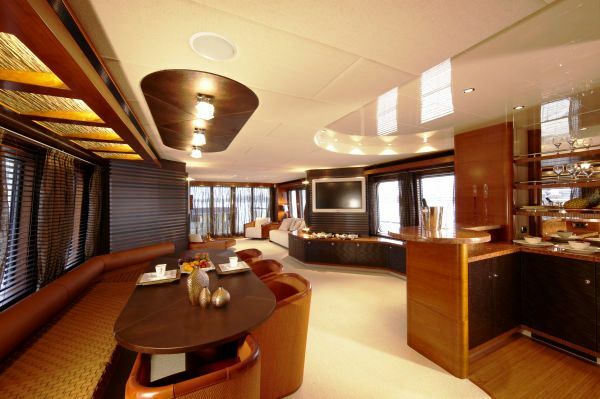 Communications onboard include Satellite Communications for voice and data can that be used anywhere in the world, Local Mobile Phone Connections, Broadband facilities, Audio Visual Equipment and Deck Facilities include Flat Screen TV in Main Salon and all 4 Cabins, a wide selection of DVDs onboard.